hayden-harnett's Autumn/Winter 2007 line is ready for the purchasing :). Check out the newest bags from this brilliant Brooklyn-based brand. It has this great granola vibe - kinda of granny-vintage meets eco-chic chica! 4 from 10:00 A.M. – 10:30 A.M..
Mercedes-Benz Fashion Week in Bryant Park from September 5-12, 2007. BagTrends.com will be there, as always covering the shows, the bag-a-licious attendies, scoping out trends, chatting up with celebs and much much more!! Visit us every day for up-to-the-minute scoop. So much to share and so little time .... have you taken note of the fabulous changes on BagTrends.com? I hope you like the better navigation and unique sections devoted to Street Trends, Celeb Trends, my bag-a-licious picks, in her bag ..... Just SO MUCH GOING ON!! And to top it all off, we're preping our shop for a glorious fall season - you'll fall in love with all the GREY BAGS and STRUCTURED WORK BAGS. And if you don't already have a chic day clutch, what are you waiting for?? It's time for the FASHION YARD SALE a flea market of gently used fashion, vintage, and new samples. You might have to leave your shoes at the door but don't leave your style with it. Bring your individuality to your brand of Yoga with PLANK. http://www.plankdesigns.com/, with promo code “BT0707”. The code expires on Augusts 31, 2007. Pageant queens are giving celeb bagistas a run for their money this week with their Junior Drake arm candy worn for a fun girl’s day out at the spa. Yes, I know I haven't chatted at all about my recent trip to Vegas to attend WSA, soon!! http://www.shopbagtrends.com/ just got in new Rebecca Minkoff Morning After Mini Bags in Black. Don't you just love it? Buy your bag first BEFORE we officialy post it on the shop. In 4 days these bags go live for all .... snag them while you can. call 718.531.6793 Aug 16 - Aug 19, 9am-8pm and ask for me! How fun is this vintage-inspired necklace coin purse from Begeren? Begeren is Dutch for desire and I desire this bag-a-licious number. Sure, it’s a bit costumey, but I think a lot of you true bagista divas could rock it. 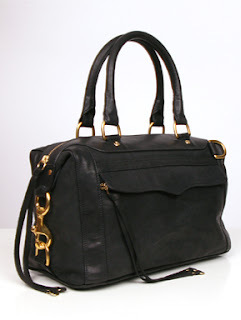 PS Check out http://www.bagtrends.com/ every Friday for my weekly bag-a-licious picks!! They're always juicy!!! Tia Williams is the former Beauty Director at Teen People, author of the hugely popular The Accidental Diva, and founder of Shake Your Beauty, an addictive beauty/style blog for anyone that wants to be in-the-beauty-know. I was thrilled when this beauty guru agreed to share her in the bag essential with you BagTrends.com Bagistas. Tamara Mellon, founder of Jimmy Choo, has created the Jet Set Collection, for her client’s high-flying lifestyle. The Bari bag, designed in collaboration with creative director Sandra Choi, is a $28,000 limited-edition crocodile bag that comes complete with its own fur blanket - PETA don't kill a gal for wanting something soft by her side on those cold flights from NY to London to Paris to Moscow ... ah fashion week schedules. But, I digress. Complementing the sturdy and sleek Bugatti construction of the Bari bag is a bold zipper that expands the tote quickly. It’s the first time the label has dabbled in the genre of utilitarian packaging.